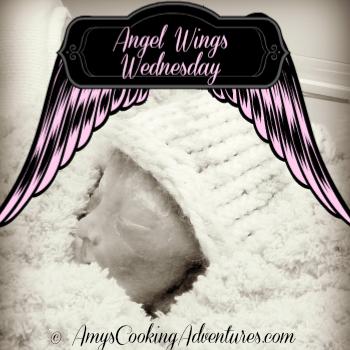 I’m back with Angel Wings Wednesday again today for Pregnancy & Infant Loss Awareness Month. The first year after losing Sarah Catherine in my 28th week of pregnancy, I focused solely on myself and my family. It was survival mode. We were just trying to heal and remember how to be normal. The subject of stillbirth was still very awkward and touchy for people. Not many people would bring it up (I imagine for fear of making me sad or hurting my feelings), but I would. I learned to talk about Sarah Catherine. How can people remember her or the fact the stillbirth is still a very real problem if no one talks about it? Then, shortly after we passed Sarah Catherine’s first birthday, there was a subtle shift. People still aren’t bringing up Sarah Catherine directly, but more and more, people are reaching out. It turns out a lot of my friends know someone (or they themselves) who has had a stillbirth or miscarriage. And my friends are reaching out, asking, what can I do? How can I help my friend? Or, I lost my baby, how do I move forward? How do I get through the sadness? I feel like this is such an important shift. It’s a shift toward empathy. I’ve often seen (on Facebook or blogs) 10 things you should never say to ____. Fill in the blank –someone who has had a miscarriage-is getting divorced-moms of preemies – pregnant women-childless couples – someone who’s depressed, has anxiety, is adopted- Seriously google it. There’s a list of things we should never say to just about anyone. But you know what’s nearly always missing? What’s happened is that everyone is so afraid of offending someone is that we’ve become apathetic and no one says anything to offend or to comfort. 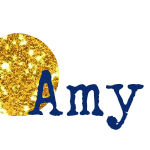 So I want to talk about both of those situations above – what to do or say if your friend has a loss and how to move forward if you do (it’ll probably take a few posts). First I want to tackle the friend who has had a loss. I’m going to put this in Q&A format for the sake of simplicity. Q: My friend just had a miscarriage/stillbirth. What can I possibly say? A: Say what’s in your heart. If you are speaking with good intentions, it will come through. If you’ve lost a pregnancy too, speak up! Now is the time to let her know she’s not alone. 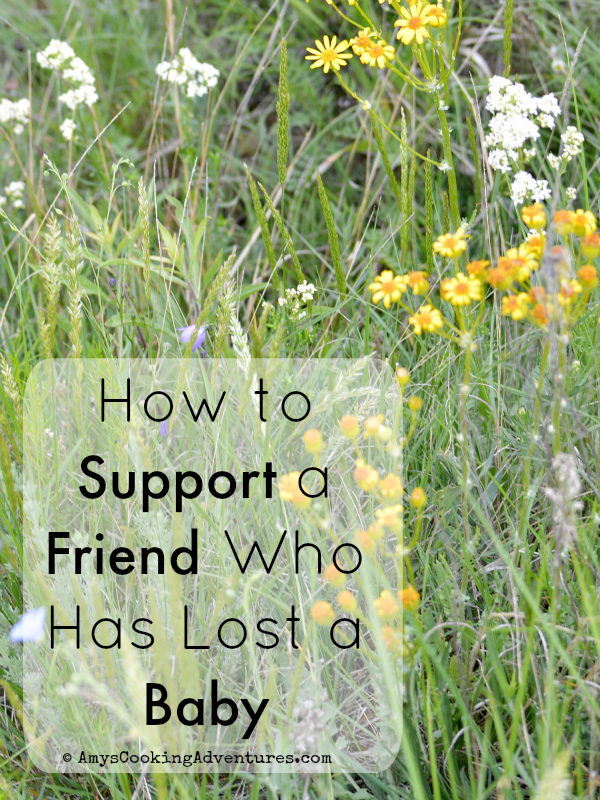 I was astounded after the loss of Sarah Catherine to find out how many of my friends had experienced early miscarriages and never told anyone! It broke my heart to think of them suffering alone and comforted me to know I wasn’t so alone. Q: But what if I offend her by accident?!? There are all those lists of things to never say to someone who’s had a loss! A: Now that is been nearly 2 years since my loss I’ve heard it all. And here’s the thing. One of my very best friends in the whole world said something that was probably on those lists. It really wasn’t comforting at all. However, I know my friend. I know that as someone who doesn’t have children herself, she was doing her best to be comforting. Her good intentions shone through. I was able to focus on her intent and her (slightly misguided) show of empathy. So like I mentioned above, make sure your intentions are pure (you’re not just being nosey or judgy) and speak from the heart. Your friend will hear the truth of your words. Oh and through those stupid lists out the window. Honestly, what’s insulting to one person can be comfort to another. I’ve read those lists and wished someone would say some of those things (granted some of those lists mention some really really stupid things people have said, but those are clearly not said with good intentions). Q: What can I do for my friend? A: Be there for her. She may not be ready yet (I wrote about that here and here) but keep the door open. For me, going out and doing something “normal” was huge. A week after losing Sarah Catherine, I went out with a friend and had a pedicure and went shopping for some clothes that would fit, because I needed to get away from the sadness and feel like me, even if it was only for a couple hours. Q: Can I do more? Can I bring her something? 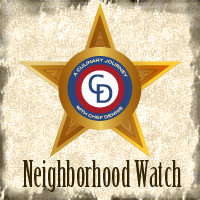 A: This one is tough, because it will vary so much from person to person. Right after we lost Sarah, there were many people who wanted to bring food or help clean or watch the boys. I accepted the meals, but turned down everything else. Why? Because I (personally) needed my daily routine to keep me going and to keep me from sinking into a dark place. However, I know that not everyone grieves the way I do. Where I craved the normalcy of cooking, baking, and taking care of the boys, I know others feel like they can’t keep up. So know your friend and what she needs. Or simply ask and don’t be offended if she declines your offer. Several of my friends found remembrance plaques and things on Etsy and many of them are very special to me. I also have a necklace I wear almost daily, though I hesitate to recommend buying jewelry, since it’s hard to know exactly what someone would want. You can also give book or website recommendations (I received several of these), but I never got around to them (sorry friends!) and preferred to find my own. 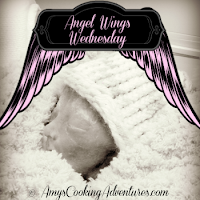 If you are looking for recommendations, feel free to share my Angel Wings posts. I also can recommend Grieving the Child INever Knew for grieving parents and We Were Gonna Have Baby But Had An AngelInstead for grieving siblings. We got the sibling book from the hospital and I honestly can’t recommend it highly enough. It’s a must for grieving children. For me, since I craved normalcy so much, a gift card for a pedicure (and a friend to go with!) or coffee was nice. 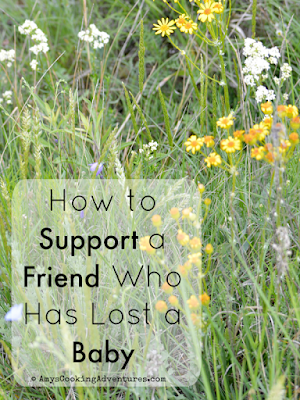 Q: I just found out I’m pregnant, how do I tell my friend who lost her baby? A: From what I can see, there are two common reactions here. First, is to single out the grieving mother and give her special treatment with the announcement, and second is to not tell her at all. I’ve had several occasions where an acquaintance is about to do a mass facebook pregnancy announcement, but worries and contacts me separately, beforehand to let me know that they’re planning an announcement. It may seem surprising, but for me, this makes things worse. It singles me out and makes me different. I prefer to find out with the crowd. Now, what you won’t see is me ‘liking’ or commenting on the post. Why? Because then I get 8 zillion notifications throughout the day when everyone and their dog writes on that post. I am truly happy for these friends, but I don’t need to be reminded all day. I’ll often send a private message of congratulations, if anything. Now here’s the exception. If this is a really good friend, a friend who you would’ve told the news before the facebook reveal before she had a loss, then by all means tell her beforehand. There’s a difference between sharing good news with close friends and singling out an acquaintance. If you’re planning to start your conversation with, “I thought I’d better tell you first…” you’re singling out. As to the second, why exclude? That’s just rude. If she doesn’t want to see the post, she can ‘hide’ it. Or she can let you know that she prefers not to be part of those sorts of reveals. Q: I’m having a baby shower, should I invite my friend? A: Yes! If you would’ve before, of course! If it’s going to be too painful for her to come, it’s up to her to rsvp ‘no’. It’s that whole excluding/singling out thing again. I’ve been to one baby shower since I lost Sarah Catherine. And honestly, I wasn’t thrilled about going, but it was for a family member, so I felt like I should go. And know what? It wasn’t so bad once I got there. I even had a nice time. I was super relieved to go home after 2 hours, but it didn’t make me depressed or ruin my day! Q: I’m pregnant and/or have a newborn & I want to get together for a playdate, should I ask? A: Sure, but don’t be offended if she declines. Try for a girl’s night out or (kid-free) coffee if she’s not ready to see babies. And also just be patient. And don’t give up on her. Any more questions? What did I miss?